and color you can customize on the screen. 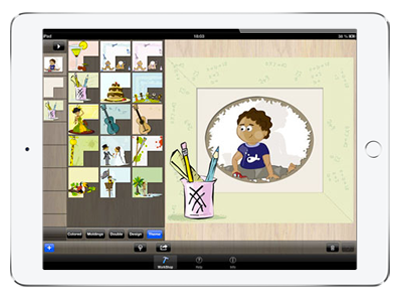 The app is compatible with IPhone and iPad. It's optimized for IPhone 4 Inch. 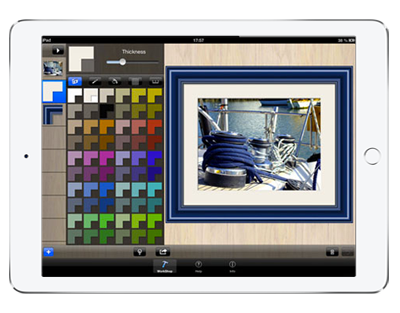 All the elements necessary to create realistic frames are available : importable photos from the photo album or from the camera, frame moldings and matboards, and controls to vary color and border widths. 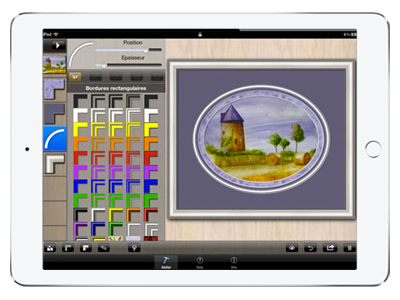 Choose from among different frames, borders and other designs : you are the artist ! And then go to the frame shop to decide with confidence what materials to order to have the actual frame made. The possibilities are infinite because each element is customizable. 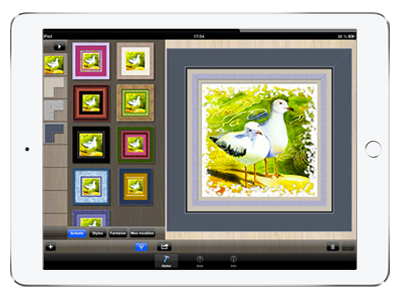 Our goal : a quality product to offer all the possibilities for framing your art in the best light. 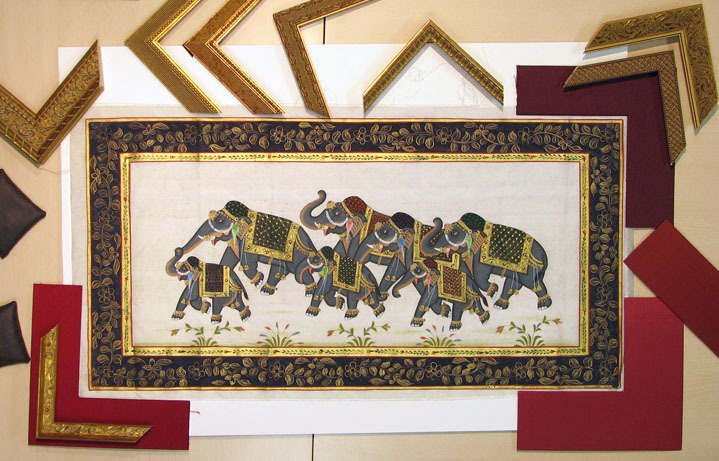 In this way, you can avoid costly mistakes at the frame shop. 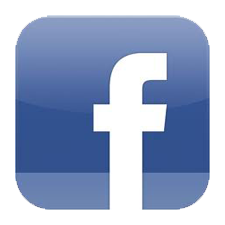 Support us by sending a review on iTunes. Thank-you! Artistics styled frames, moderns or virtuals. Showcase your own photos or illustrations. 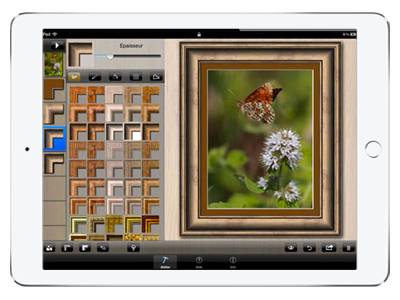 It's possible to use also among pictures from the application library. 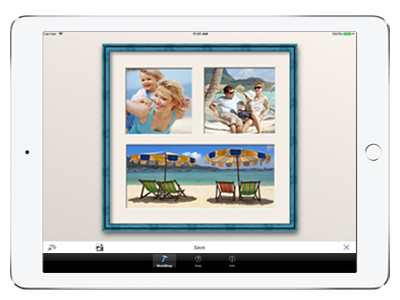 Automatic and customizable frames with many pictures. You can apply masks and shapes for pictures. Easy presentation with a lot of predefined options. Elements can be modify with a simple touch. You choose freely every property : size, color, profile, pattern, etc. Different styles of templates are available : modern, style or fun. Once applying a template, you can modify the creation as you want for a personnal realisation. Virtual elements can be added to you frame. You can easily create unique and originals cards. You can organize the elements at every time. 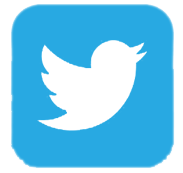 Each part of the frame will position automatically. Un moyen rapide pour refaire sa décoration murale est de changer ou modifier les cadres et les encadrements de votre intérieur. 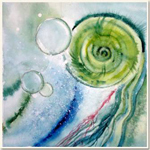 Vous souhaitez faire encadrer l'aquarelle ou la peinture que vous aimez, recherchez une idée originale de décor, ou agrémenter votre console d'entrée de petits cadres photo ?